Elizabeth Drake practices in the area of employee benefits and executive compensation, with a focus on Employee Retirement Income Security Act (ERISA) and tax requirements applicable to retirement plans and non-qualified arrangements, health and welfare benefits and fringe benefit programs. In recent years, Ms. Drake’s practice has focused on counseling and advocacy work on behalf of large plan sponsors on complex and sensitive matters primarily involving their defined benefit pension and 401(k) plans. Her in-depth understanding of the relevant legal requirements and day-to-day administrative issues make her uniquely able to guide clients through the challenges presented by ever-evolving legal requirements and complex administrative and plan document/drafting issues. She is known for helping clients reach practical solutions and handle sensitive matters. A large portion of her practice involves assisting Fortune 150 companies with fiduciary and "plan governance" matters applicable to 401(k) and defined benefit plans, pension plan de-risking activities, including the settlement of pension plan liabilities through lump sum window programs, pension plan terminations, annuity placements, and plan mergers/consolidations. 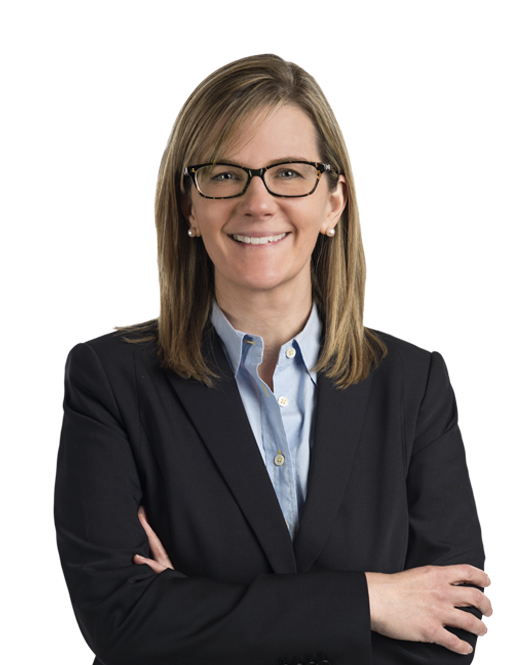 She helps clients navigate complex regulatory requirements involving plan administration, testing (including qualified separate lines of business) matters, and employee communications/disclosures. Ms. Drake also represents clients before the IRS National Office in connection with technical advice proceedings, letter ruling requests, and closing agreements. She also assists clients in securing closing agreements with the IRS under the Employee Plans Compliance Resolution System (EPCRS) and its Voluntary Closing Agreement Program. Before joining Miller & Chevalier, Ms. Drake practiced as an associate in the Employee Benefits and Executive Compensation group at Morgan, Lewis & Bockius LLP in Washington, DC. Prior to her time at Morgan, Lewis & Bockius, she worked at an actuarial and benefits consulting firm in Pittsburgh, PA. Obtained private letter ruling allowing company to transfer excess pension assets to a Section 401(h) account through a Section 420 transfer on behalf of retirees who have had their pension benefits settled through retiree lump sum window or otherwise (PLR 201511044). Obtained three private letter rulings allowing companies to offer retiree lump sum windows as part of their pension plan de-risking strategies (PLR 201228045, PLR 201431034, PLR 201424031). Obtained private letter ruling involving a transaction freezing of accruals and contributions under a floor-offset retirement plan arrangement and Rev. Rul. 76-259 and Section 411(d)(6). Assisted major companies in the termination of their defined benefit pension plans and related annuity placements, some of which included Section 401(h) accounts for retiree medical benefits. Assisted large and mid-size clients in negotiating vendor agreements, employee communications and compliance reviews in connection with recordkeeper changes. Advised large and mid-size companies on design and compliance-related matters involving their cash balance and other hybrid plans, with respect to application of Pension Protection Act provisions. Represented an energy company in connection with an IRS technical advice proceeding involving a "greater of" pension formula that the IRS initially viewed as creating a backloading issue, but subsequently relented by issuing Rev. Rul. 2008-7. Residual Liabilities Following Plan Termination: Is the Plan Really Gone? In this article, Elizabeth Drake and Anthony Provenzano discuss the residual liabilities following plan terminations. In this article, Elizabeth Drake discusses the long-awaited update to the IRS's Employee Plans Compliance Resolution Program (EPCRS).